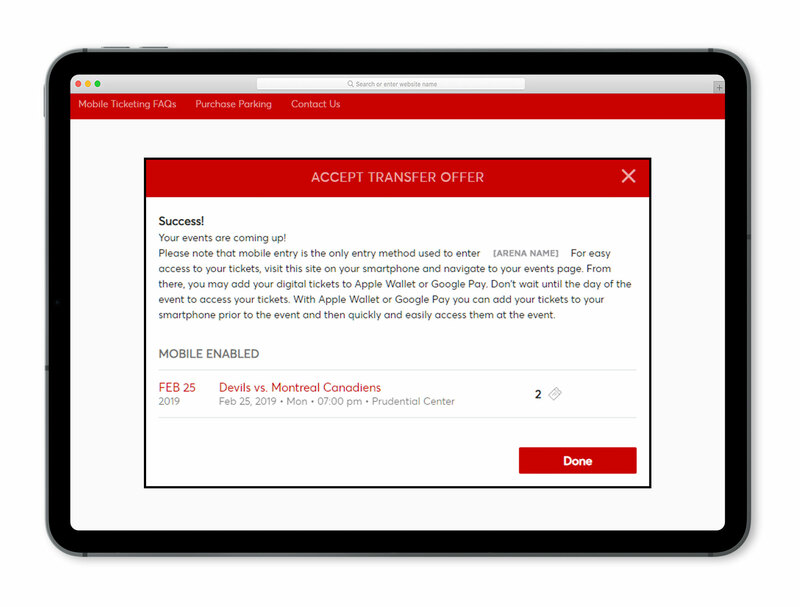 You will receive an email from the venue/team with the ticket transfer offer. 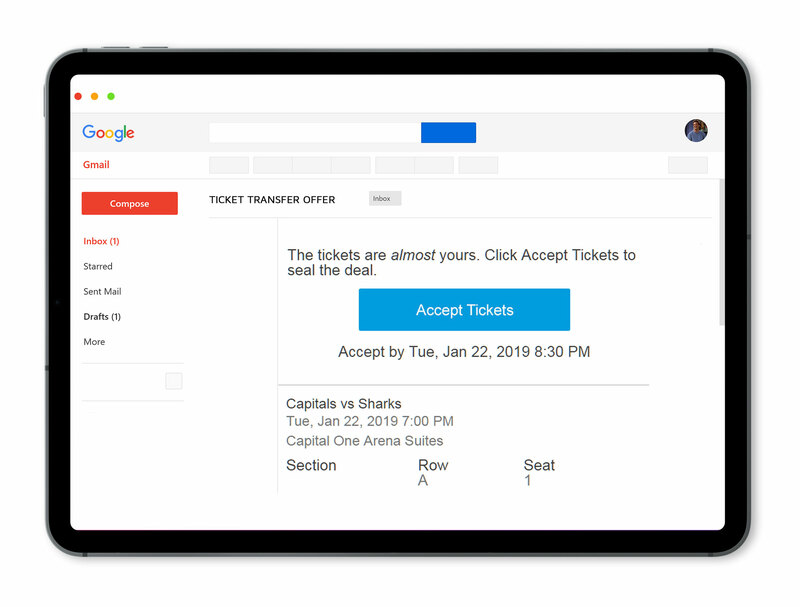 Click the “Accept Tickets” link in that email. 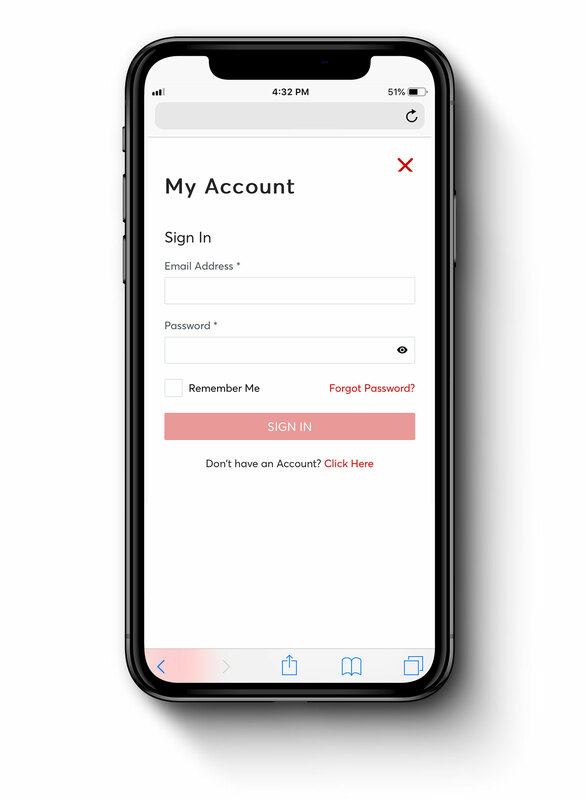 Log in or create an account (if you don’t already have one). Agree to the ‘Terms and Conditions’ if necessary. 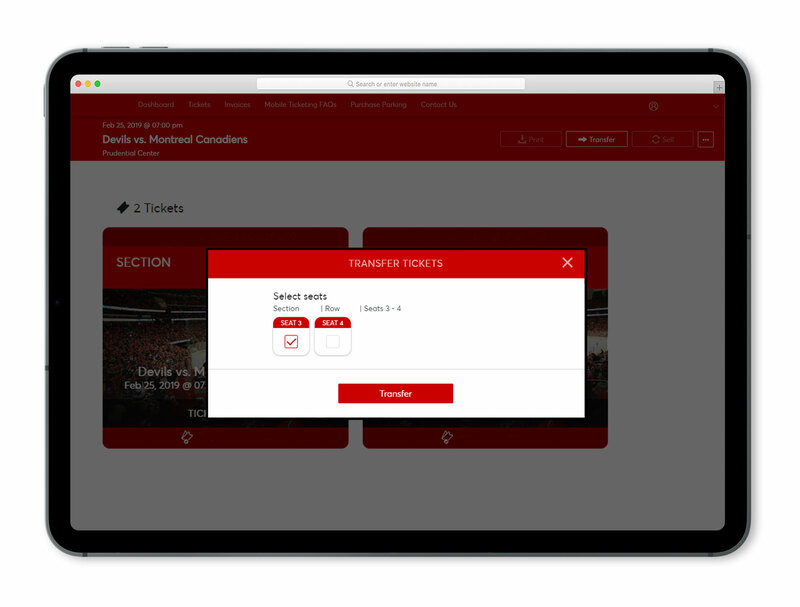 Click the “Accept” button to accept the tickets. 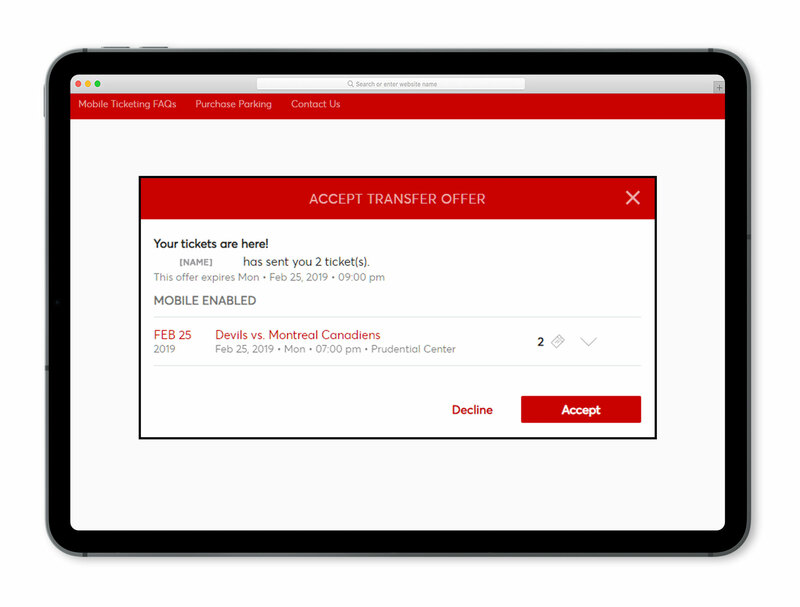 Clicking “Decline” will cancel the offer and transfer the tickets back to the sender. SUCCESS! 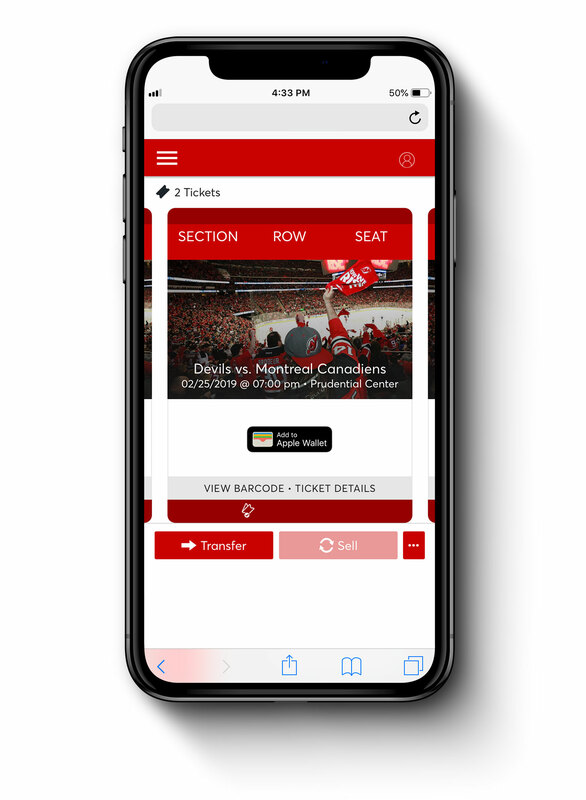 The tickets will now be on your mobile account. 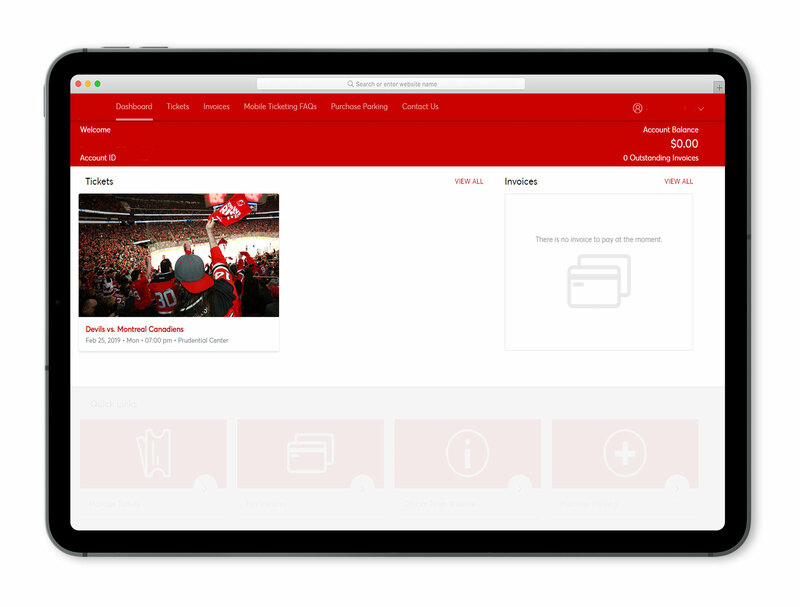 Don’t forget to download your tickets into your smart phone wallet for easy access on your event day. 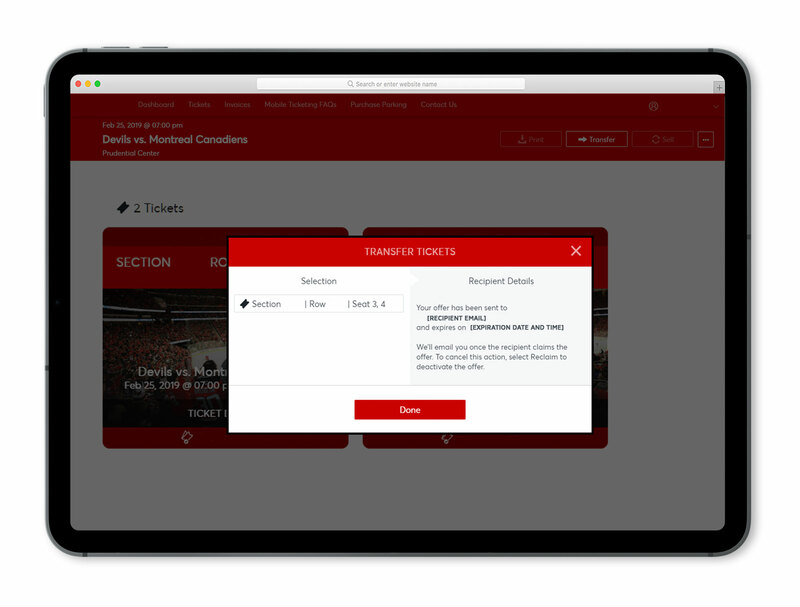 NOTE – Mobile tickets CANNOT be printed and must be scanned via a mobile device. 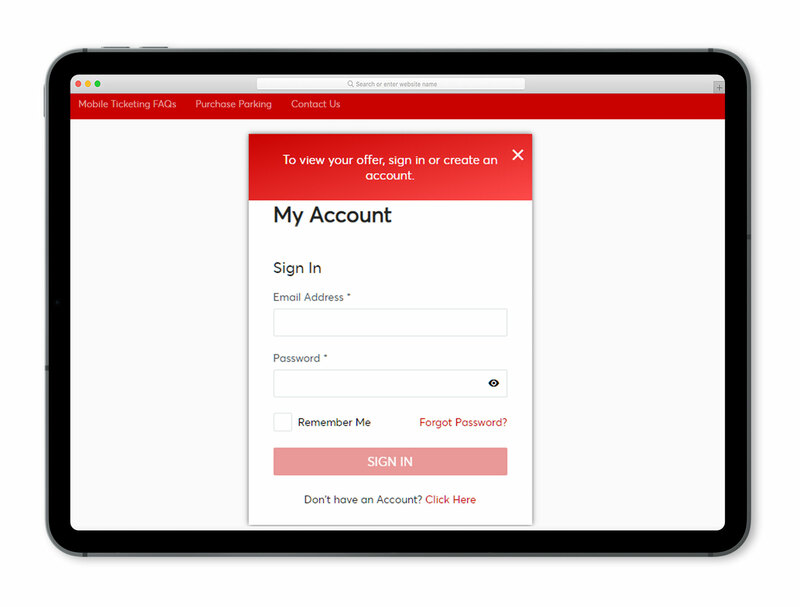 Sign into your account via your mobile device (Venue/team app or your web browser). 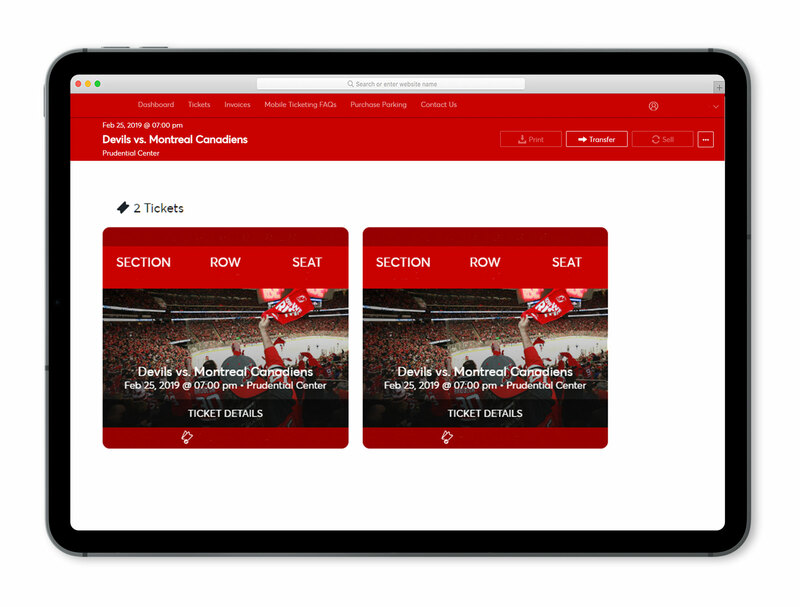 Find and click on your event to view the tickets. 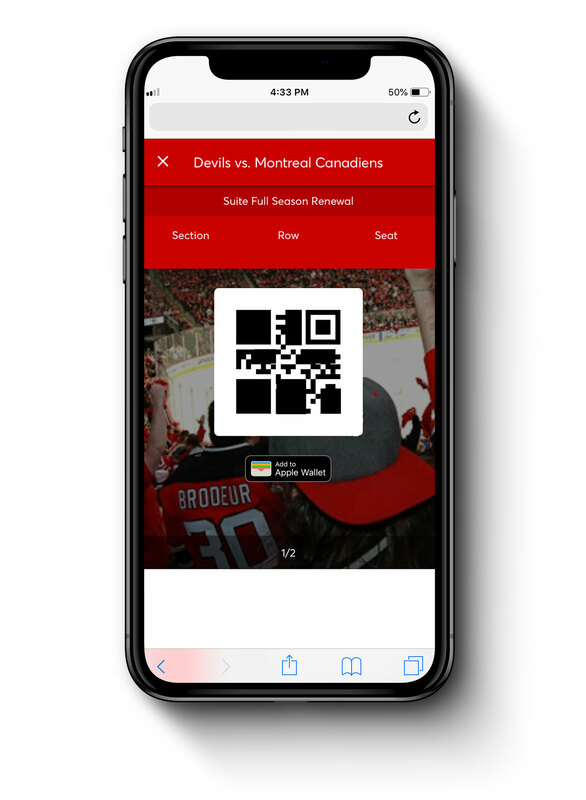 Click “View Barcode” to pull up the ticket’s QR code. 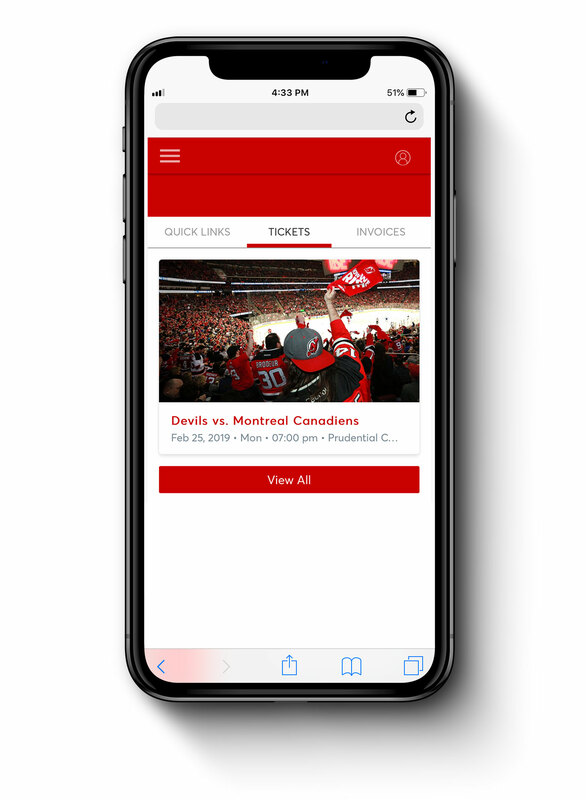 Swipe left or right to view different tickets. Scan QR code at the gate for entry. NOTE – Barcodes for most events are not made visible until 24 hours prior to the event. 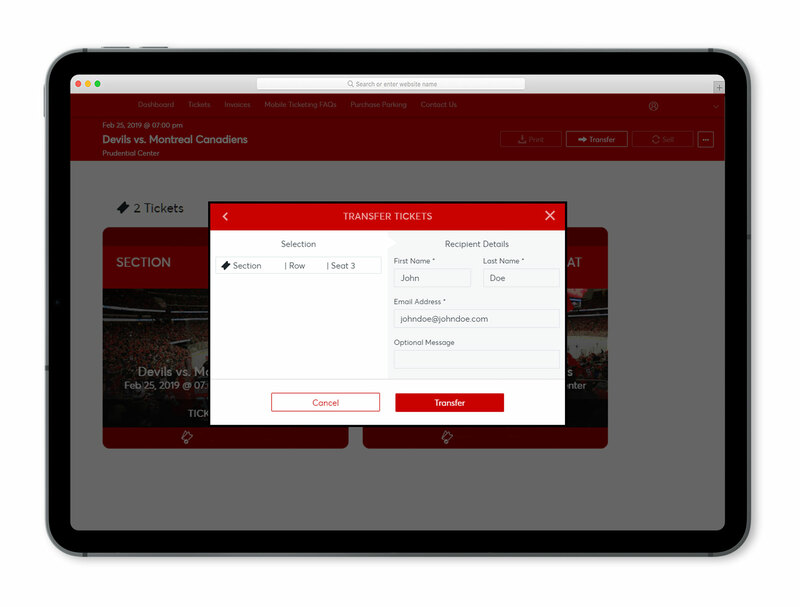 Log into your venue/team ticket account manager. Choose the seats you want to transfer and click “Transfer”. 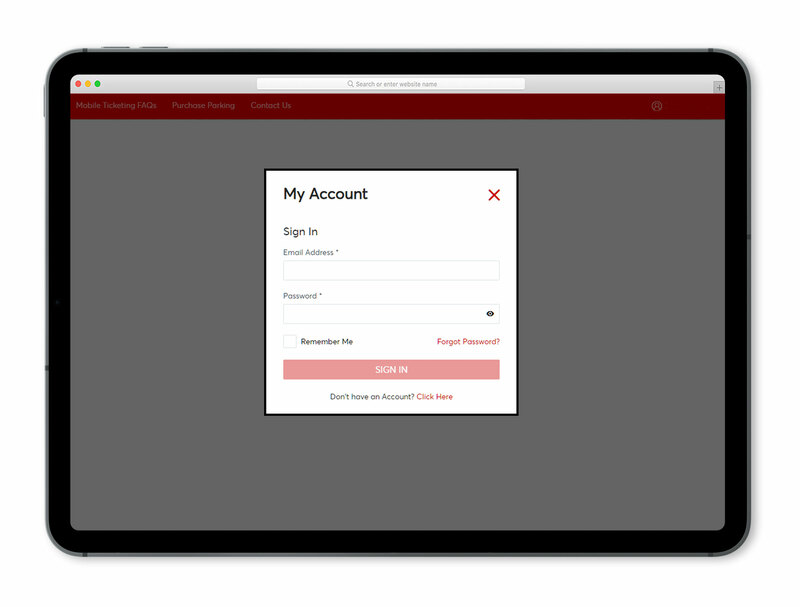 Enter your recipient’s information and click “Transfer”. 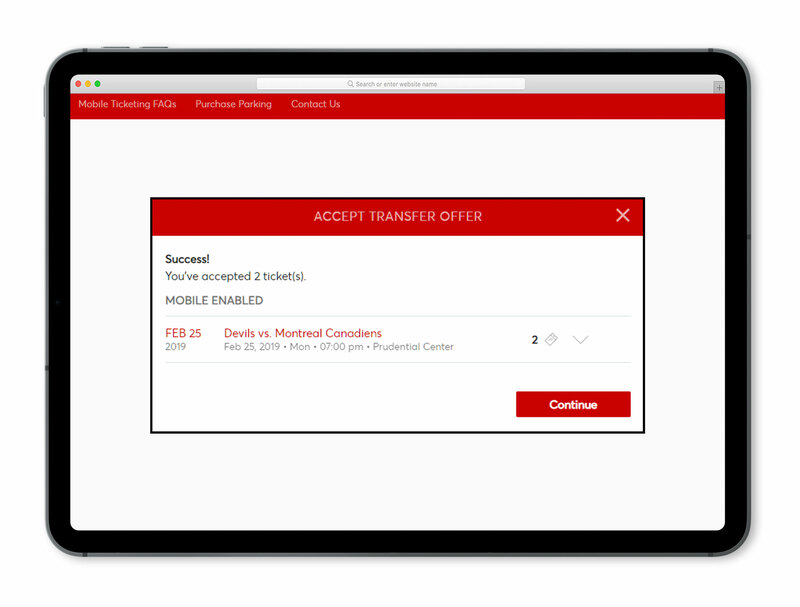 A transfer confirmation box will pop up, showing you the transfer details. 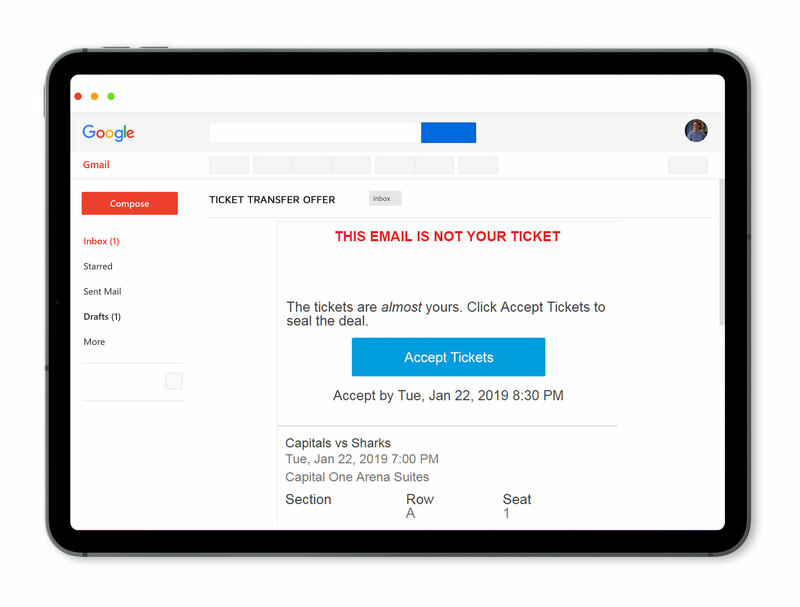 NOTE – You will receive an email confirming that you have successfully transferred the tickets.